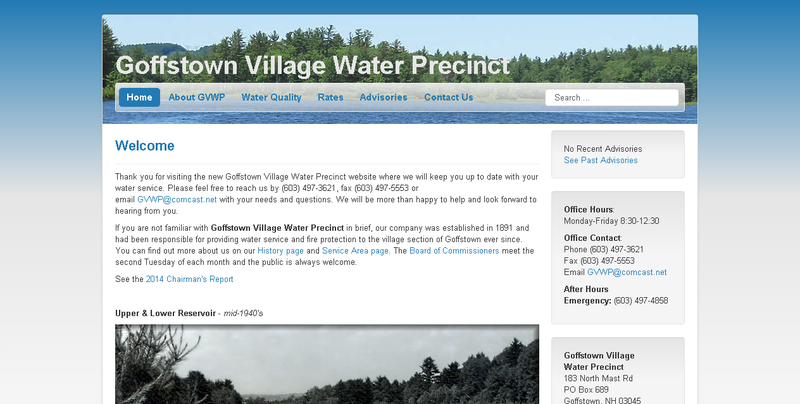 Here is another Joomla website I designed and developed, for my local water company. It’s built mostly using Joomla core elements, plus an embedded Google Map to show their service area. The background colors and tints in the template are done in CSS3, this makes for a faster download over using images for the background.